Peter knows what's good! 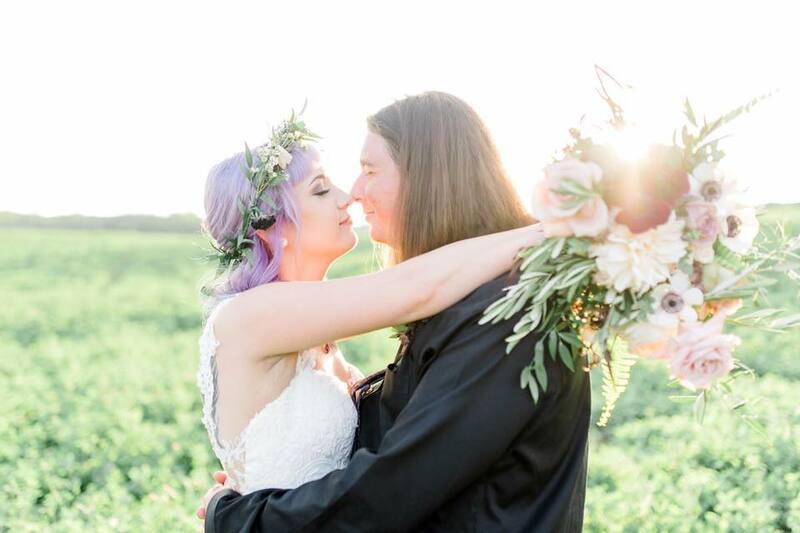 He is easy going and full of original ideas --which made our wedding feel special! I had tremendous compliments from guests who enjoyed the music and the transition between music. He is also very professional, prompt and easy to reach. I have already recommended him to many other friends and family looking for DJs. We met Peter at the tasting for our venue at South Pond Farms and right away we were impressed and knew we needed him for our wedding day. Peter had an amazing online portal that made it so easy for me to plan the music for our day. 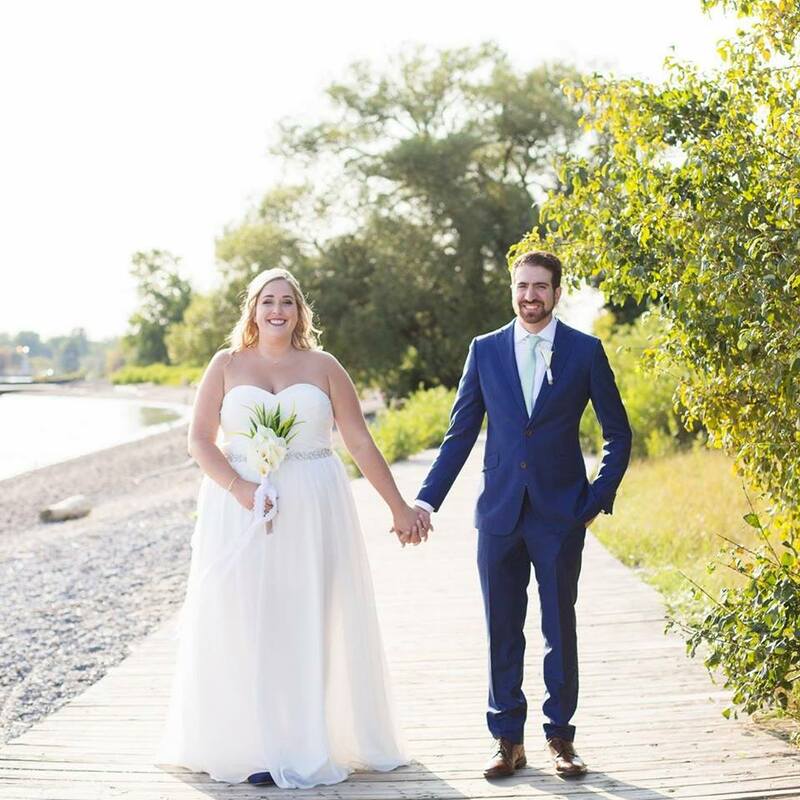 He was also very accommodating to working with our Minister, videographer and our family and friends who performed during our ceremony and first dance. I wish our day didn't run late so we would have had more time to party with Peter! I would recommend Peter for any of your future events. Easiest 5 stars to give. Peter is a pro - has the charm, personality and professionalism you hope for in a DJ. We trusted Peter to do his thing, and help elevate our party...he blew our expectations away, and our guests. the d-floor was going all night. thanks man. let's do it all again? We are still coming off the high of our wedding day magic at South Pond Farms and Peter was nothing short of perfect. Not only did he spend so much time trying to understand our ultimate vision- but he made it come to life seamlessly. Rolling with the punches of a last minute ceremony location change and honouring the unique music choices of our guests. From beginning to epic ending we cannot recommend him enough! Peter was amazing! He kept the dance floor busy all night and was so easy to work with! He was recommended to me by a friend and I would definitely recommend him to anyone! Everyone enjoyed themselves and so many people told me how much they liked him. Peter was our DJ and MC at our wedding on Friday and we could not have been more impressed with him! Personality, charm, humour, friendly and knows how to get the party started! Music was great and a lot of our guests told us how great they thought he was! Would highly recommend him to anyone!! Thanks Peter! Peter is just incredible. We first discovered Peter at our good friends wedding a couple of years ago and have since spread the word about how absolutely wonderful he is. Peter made our wedding last night memorable. He is an amazing MC and is just so organized and everything went off without a hitch. Thank you Peter!!! Best DJ ever!!! He made the musical portion of our wedding perfect and completely stress free. He listened to exactly what we wanted, and kept people on the dance floor all night. Wonderful to deal with and he was very organized. I would highly recommend booking with Peter, he knows exactly what he's doing! Peter was an absolute pleasure to work with for our wedding! As a very recent bride and groom, we felt overwhelmed at times with the amount of planning and organization that is required to create a special wedding day but thankfully Peter made our day much easier by handling 100% of the music, audio, mic, and 'MC' duties from start to finish. He is clearly a very seasoned and experienced entertainment professional, and he is super easy to work with. Also - his online planner makes it incredibly easy to create your wedding playlist, your wedding music itinerary, and he even accommodated all of our special requests which was amazing! Our guests were also very pleased with his personable, friendly, and helpful demeanor! If you are planning a wedding, a party, or any other type of event that requires DJ services I would absolutely recommend Peter. You won't be disappointed! Sarah and I are both so thankful that we booked Peter from PSP entertainment to be our DJ for our wedding. He is fun, laid-back, organized, and extremely knowledgeable about music! We chatted over the phone prior to the wedding to discuss timelines and music choices. He listened to everything we wanted and had planned. And followed our requests perfectly. His choices of songs during cocktail hour, dinner, and dancing were more than perfect! We loved his online planning program! And our guests raved about how lovely it was to request songs before the wedding. He was great with our MCs and made them feel comfortable. He is extremely professional yet easy going and I loved his outfit for our wedding (Dapper AF!) I'd love to work with him again in the future! Jim and I met Peter a couple of times before we got engaged. He was so incredible and we knew right away we wanted him to DJ our wedding. As expected, he did not disappoint. He answered my emails very promptly and answered questions that I didn't even think to ask. His online planner was super helpful and we loved that there was a "do not play" and "must play" list. Some of the songs I wanted weren't on the planner but Peter found them no problem, and even allowed me to make some last minute changes to our selection. I've been to a couple other weddings where the DJ's simply cannot find the songs I've requested. We had many guests tell us how amazing he was and how fun the music was. Some people even commented that it was the most crowded dance floor they've ever seen. Everything ran so smoothly and he worked well with our MC's. We can't thank him enough and will be recommending him in the future! Justin and I want to extend our sincerest thanks. You were incredible to work with and your calmness, flexibility and efficient communication made the process extremely easy.